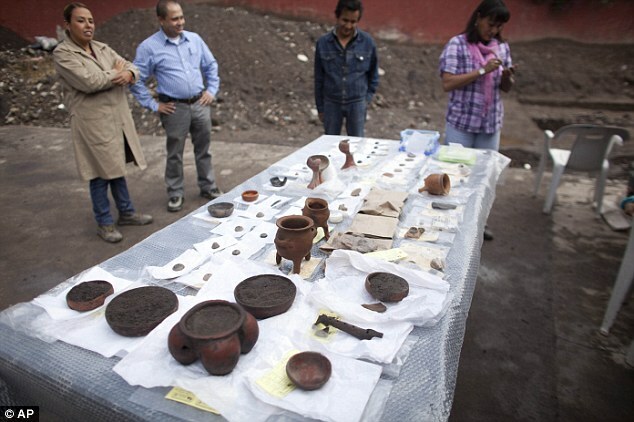 Researcher Alejandra Jasso Pena says they also found ceramic flutes, bowls, incense burners. Key among the finds were the remains of a dog that was sacrificed to accompany a child in the afterlife and other artifacts of a pre-Columbian civilization. 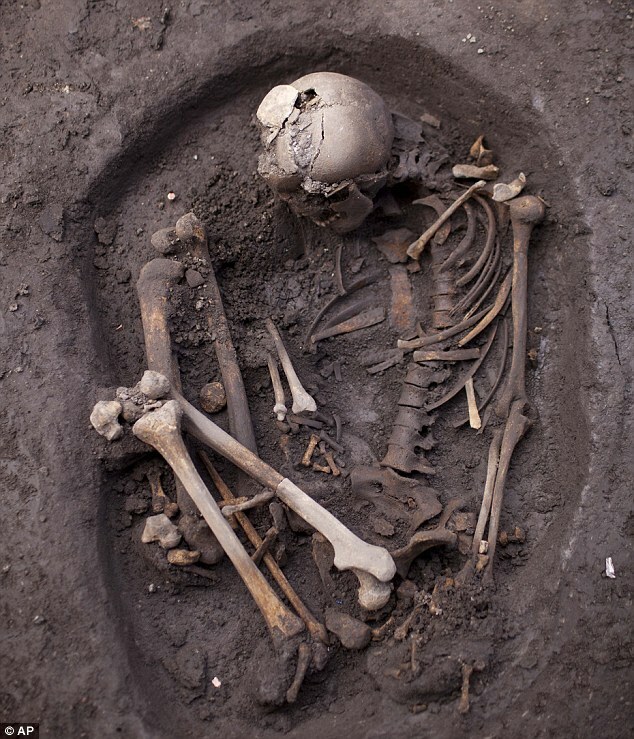 Experts suspected the site was an important ceremonial center for the Tepanec tribe between 1200 and 1300. The influential traders living there were called Pochtecas. Just last year, archeologists discovered a ceremonial Aztec platform used to burn snakes under Mexico City's famous Templo Mayor ruin. 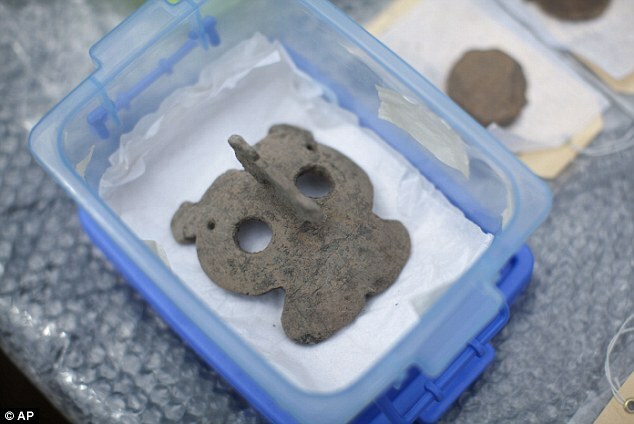 The find raised hoped that there could be an emperor's tomb buried nearby. The Templo Mayor is a complex of two huge pyramids and numerous smaller structures that contained the ceremonial and spiritual heart of the pre-Hispanic Aztec empire. 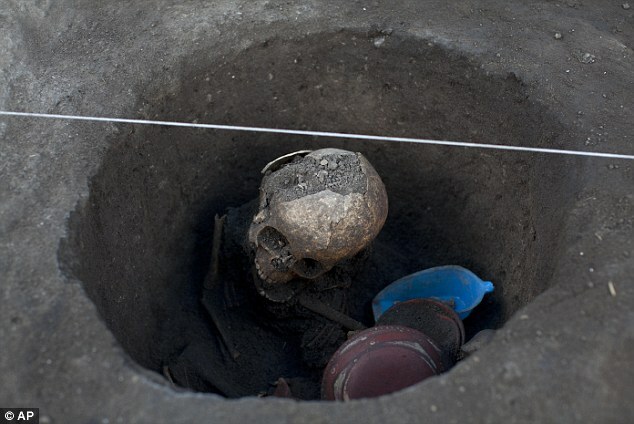 But no Aztec ruler's tomb has ever been located and researchers have been on a five-year quest to find a royal tomb in the area of the Templo Mayor. 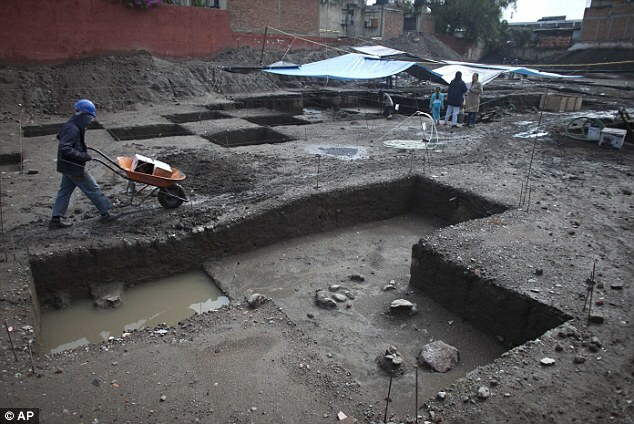 Mexico's National Institute of History and Anthropology said the stone platform is about 15 yards in diameter and probably built around A.D. 1469. 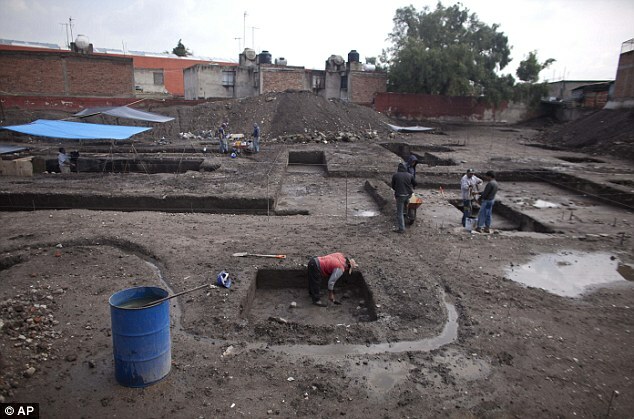 The site lies in downtown Mexico City, which was built by Spanish conquerors atop the Aztec capital of Tenochtitlan.